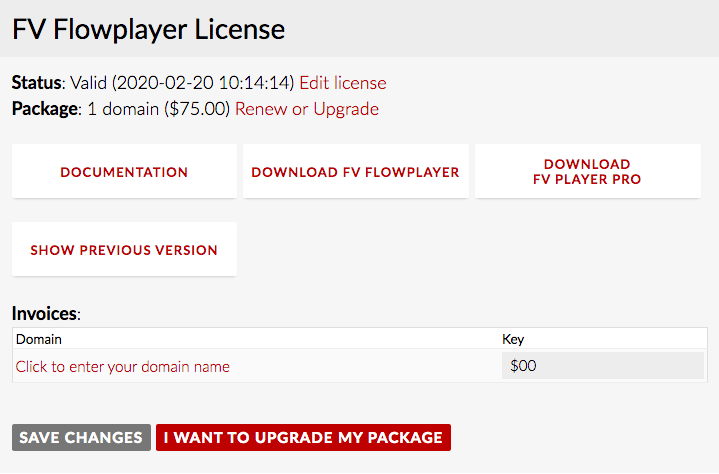 You've bought our great FV Player Pro and are now happily enjoying fantastic Vimeo and YouTube integration. Your Paypal invoice is in your email box. All is good with the world. Suddenly your accountant leaps out of the shadows - "This is not a legal invoice nor tax-deductible." If you're in the EU, you need a "real invoice" according to EU law with your tax number and address. We've got you covered. Please click Edit license for more billing details. You can print it or save it as a PDF document (Mac), as you require. If any of your billing information is wrong, you can change it in your user profile. Your accountant is now happy. See the accountant smile. Well, let's not get carried away. The first original accountant video which passes the laugh test gets a free license, by the way. Submit your video here. If you face any issues with our invoice system, let us know and we will fix it right away.